A few months ago Katfriend Riyadh Al-Balushi (SOAS University of London) wrote a post explaining the IP implications of the Qatar diplomatic crisis. Now he’s back with a 2-part post that tackles the TRIPS-relevant aspects of the crisis, including with regard to TV network beIN Sports. “The diplomatic crisis in the Gulf Cooperation Council (GCC) between Qatar on one side, and Saudi, Bahrain, and the UAE on the other is still ongoing with no solution in sight. The dispute that started in June 2017 has had an impact on all aspects of life in the countries involved as all direct transportation links between Qatar and the other three countries have been cut off (land, maritime and airspace), Qatari nationals were deported, and Qatari businesses were shut down in these three countries. While the impact of the conflict has been very visible on industries such as aviation and shipping, the entertainment industry, and more specifically the sports broadcasting industry, has also been seriously affected because beIN Sports - the biggest sports TV network in the Middle East and North Africa - was caught up in the crossfire of the diplomatic crisis due to of its ownership by Qatar. In this two part blog series, we will explore the intellectual property implications of the actions taken against beIN Sports and the extent to which they constitute a violation of the TRIPS Agreement - as Qatar currently claims. When the crisis started, Saudi, Bahrain and the UAE took numerous actions against Qatari businesses including blocking access to the websites of Qatar Airways, Al Jazeera, and beIN Sports, along with the shutdown of any physical offices that these businesses had. In regard to beIN Sports specifically, Saudi and Bahrain also banned the sale of new subscriptions and the renewal of existing subscriptions. These two countries also prohibited hotels, cafes, and other similar establishments from displaying any of their channels to their customers. Existing home subscribers in Saudi and Bahrain are able to continue watching beIN Sports channels, but they have no mechanism for renewing a subscription once it expires. In the UAE, beIN Sports had been offered through Etisalat and Du, two local Emirati ISPs, who were ordered to immediately suspend beIN Sports channels on their cable boxes. There are different motives behind blocking access to these websites. The Saudi camp accuses Al Jazeera of providing a public platform for terrorists to speak, and argues that shutting down Al Jazeera is necessary on national security grounds. On the other hand, blocking the website of Qatar Airways and shutting down its officers an economic sanction to pressure Qatar into accepting the demands of the Saudi camp. 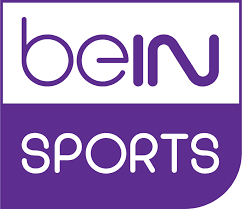 Suspending beIN Sports is more similar to Qatari Airways than to Al Jazeera as it can also be seen as a sanction intended to cause Qatar economic loss and is not directly related to the accusations relating to terrorism. 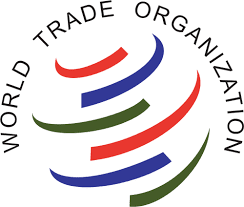 Qatar has initiated a complaint at the WTO against the actions taken by Saudi, Bahrain, and the UAE during this crisis on numerous grounds that include claims that blocking access to works that Qatari nationals own intellectual property rights over is a violation of Articles 3 and 4 of the TRIPS Agreement. Qatar is also claiming that the Saudi camp is in violation of the GATT and the GATS on a variety of other grounds not explicitly related to intellectual property. Article 3 of the TRIPS Agreement requires States to provide nationals of other State Parties to the TRIPS Agreement a treatment no less favourable than what it offers its own nationals, while Article 4 requires States to provide nationals of other State Parties a treatment no less favourable than what it offers nationals of third parties. The logic presented in Qatar's complaints is that the ban imposed by the three States makes it impossible for Qatari nationals to fulfil their obligations relating to the licensing of intellectual property works, and that this treatment is less favourable than what nationals of these States enjoy and what nationals of third parties enjoy. There is no doubt that the treatment given to Qatari nationals and to their intellectual property works in Saudi, Bahrain, and the UAE are less favourable than everybody else, but this treatment is unlikely to be relevant for the purposes of Articles 3 and 4 of the TRIPS Agreement, because Articles 3 and 4 do not ban any less favourable treatment, but only less favourable treatment in regard to the protection of intellectual property. It is important to remember here that intellectual property rights are mostly negative rights that grant rights-holders the right to stop others from carrying out certain acts. Copyright allows authors to stop others from copying, performing, translating, and undertaking certain other activities in relation to the work in question, and does not actually give the author the right to use, display, or publish the work to anyone. If Saudi decides to ban all Qatari copyright works from circulation in Saudi, that would not be in itself a violation of any of the economic rights of Qatari authors under Saudi copyright law or the Berne Convention, because Qatari works are not being copied, performed, or translated without their permission, but are merely banned. The ban of Qatari broadcasts and other copyright works in Saudi, Bahrain, and the UAE might be in violation of other WTO obligations outside the TRIPS Agreement, but it is unlikely that this ban in itself violates the protection of intellectual property works, and therefore it is not relevant for the purposes of Articles 3 and 4 of the TRIPS Agreement.